Officials and executives based in Gibraltar are protesting against the British government’s plans to introduce a 15% gambling tax on residents of Britain that place bets at online casinos registered in the territory. Many see the tax as an unfair revenue grab by the London government. 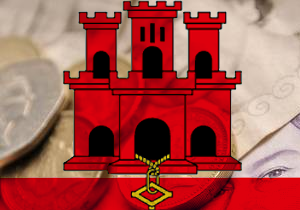 Phill Brear, Gibraltar’s gambling commissioner, said that the tax would be “clearly against the common-sense logic of electronic commerce.” According to Brear around 60% of online bets placed by Britons were at Gibraltar registered sites. The 15% tax would be the same as the one imposed on Britons who bet within the British mainland. At present Gibraltar pays just 1% tax. The new rules would also make it compulsory for Gibraltar-based companies to have a British license in order to serve British clients. Steve Buchanan, the head of Ladbrokes operations in Gibraltar said that the tax would put “a huge and unwanted cost on our business.” However, Buchanan did concede that there were other advantages to Gibraltar. He said that there was no value-added tax on advertising and other activities essential to the gambling industry.